Parents in communities across the world know well the threat lead poisoning can cause to children’s health. Whether the lead is in the soil, the pipes, or in some other source, communities might try boiling water or bleaching their homes, but scientists have found another way to help protect kids: their diet. There are certain foods children can eat to help prevent or lower the risk of lead poisoning. Below are certain types of food and drink that might help with the task, according to experts. Calcium is one of the most important nutrients to combat lead in the bones, brain, and the nervous system, according to the U.S. Centers for Disease Control and Prevention. Lead and calcium fight for the same locations within the body and are both stored in the bone. 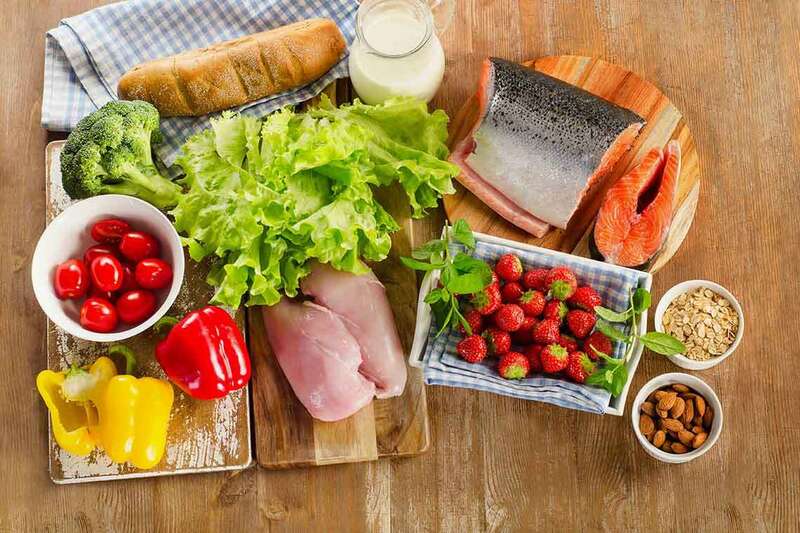 Because lead has a greater chance of binding to calcium sites in the bone than calcium itself, feeding the body higher quantities of calcium could increase the likeliness that calcium will stick — leaving no room for lead to bind to such sites, experts say. Therefore, milk, yogurt, and cheese are great sources of calcium. Foods rich in iron also help to combat against lead poisoning in the body. Lead and iron look very similar to the body, and just like calcium, if there is more iron in the body, the body will absorb iron and not the lead, according to experts. Meats that will help fight lead include pureed meats, lean red meats, tuna, salmon, and other fish, as well as skinless poultry. Minnesota’s Department of Health also recommends low-fat pork as another source of iron. Despite their size, raisins are another excellent source of iron for the body. When grapes are dehydrated, the nutrients of the fruit become extremely concentrated, according to a San Francisco Gate report. A box of raisins alone provides almost one milligram of iron, which is roughly 5 percent of women’s and 10 percent of men’s daily recommended intake, the report says. Other dried fruits such as raisins, dates, and prunes are also packed with iron. Vitamin C is another integral part of a diet meant to battle against lead poisoning. A University of California, San Francisco study discovered that people who consume higher levels of vitamin C have shown a significant decrease in lead levels in their blood. Orange/orange juice, grapefruit/grapefruit juice, broccoli, cabbage, strawberries, and dark green, leafy vegetables, and supplements are excellent sources of vitamin C, according to the Minnesota Dept. of Health. Breakfast: French toast, orange sections, and low-fat milk. Lunch: Pizza bagels, 100 percent fruit juices, fresh or canned peaches, and low-fat milk. Dinner: Chicken stew, rice, and strawberries. Between meals, the EPA suggests the following snacks: whole wheat crackers with cheese, frozen fruit juice pops, apple and pear slices, and cereal with low-fat milk. Those are just some ways to provide protection against lead poisoning. If you have any questions about the level of lead in your home, contact us to get an attorney’s perspective on the issue.